The goal of our ministry is to share the Gospel with all Nations and equip others with the tools to do the same. Since 2009 we have been sharing the Gospel through public outreaches in various ways. We’ve led several teams that came to Berlin for Evangelism. Some ways of who we have been sharing the Good News of Jesus Christ is through preaching, drama, dance, music, art etc. We don’t stick to just one tool but try to utilize all natural and spiritual gifts to reach the lost. A research by St. Marys University, London (UK) in 2018 shows shocking numbers. In 12 European countries, the majority (50% or more) of young people (16-29 years) claim no affiliation to any religion at all. 5 of the 10 countries bordering Germany are part of the majority of no affiliation to any faith. The base and home of our ministry and family are in Berlin, Germany. Transit into and out of Germany is very easy and cost efficient if planned in advance. Trains, buses or airplanes are the best way to travel throughout Europe. 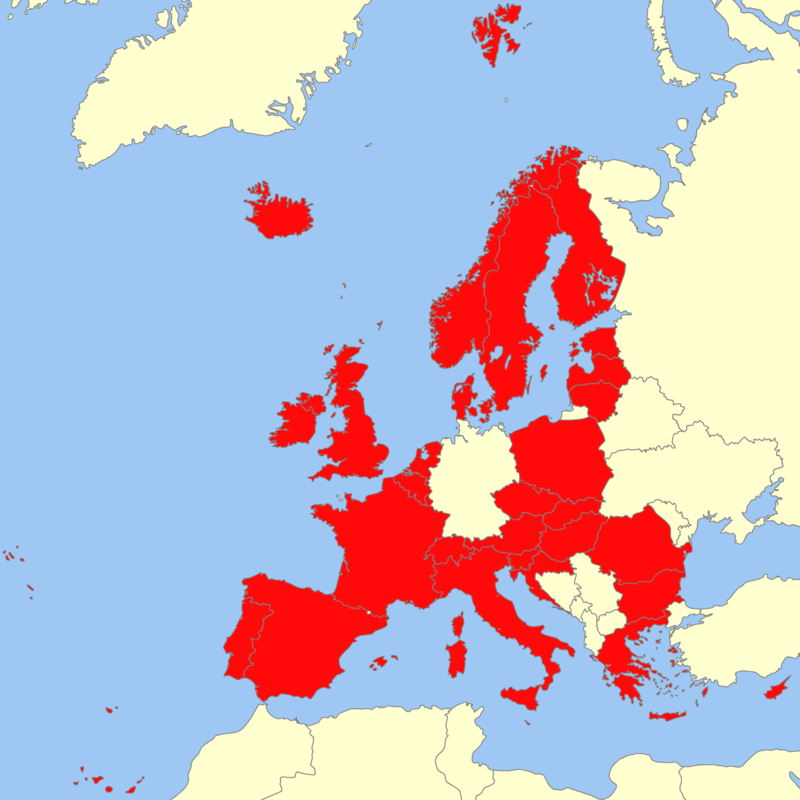 Many borders of the countries belonging in Europe are open and passport checks are not required. This makes traveling very comfortable and the Mission to Europe by train, bus or airplane is cheap and easy. Short-term and long-term mission trips are possible in following countries: Austria, Belgium, Bulgaria, Croatia, Cyprus, Czech Republic, Denmark, Estonia, Finland, France, Germany, Greece, Great Britain, Hungary, Iceland, Italy, Ireland, Latvia, Liechtenstein, Lithuania, Luxembourg, Malta, Netherlands, Norway, Poland, Portugal, Romania, Slovakia, Slovenia, Slovakia, Spain, Sweden, Switzerland. In 2009 Thilo & BreAnna met for the first time in Berlin, at the first outreach that the ministry had. In 2010 Thilo joined ToTheStreets International as a missionary and worshiper and on new years 2011, they got married in Berlin, Germany. In June 2017 they became parents of their twin boys Abraham & Solomon. Thilo grew up in a non-christian home, has two younger twin sisters. He grew up in former communist East-Berlin. Thilo’s biological father left them when he was still a baby. Thilo’s second father figure, the father of his sisters, beat up their mom in a drunken rage and hospitalized her. Then some months of living in a woman’s shelter followed until their mom’s new boyfriend came into the picture. They all moved in together when Thilo was only 6 years old. This boyfriend would become Thilo’s third father figure and role model for the next 10 years. This man ended up leaving their family after cheating Thilo’s mom for the second time with the same woman. During this hard and crucial time, Thilo met Jeff Allers, a Christian missionary from Iowa State, USA. Jeff was bold enough to share the Gospel with him more than once over the course of the first year of their friendship. Thilo accepted Jesus as his Lord and Saviour in April 23rd, 2002 at the age of 17. Kim has lived most of her life in the North-West of the USA close to Portland, Oregon. She has been living and ministering with her daughter BreAnna in Berlin, Germany since 2008. Kim has been married once, and her daughter BreAnna and her son Gabriel came out of that marriage. She got divorced after many years of suffering under her unfaithful husband. Her ex-husband has passed away in 2003. Her son Gabriel, a born-again believer in Jesus Christ and recovered drug-addict, passed away in 2013, shortly after falling back into drugs for a short time and suffered from an overdose of Heroin. Together Kim lives and ministers together with her daughter BreAnna and her son-in-law Thilo and their two sons, in Berlin, Germany as their home base. In 2007 Kim Droptiny and her daughter BreAnna sold everything they owned and moved to Europe to become missionaries. Their first stop was Oxford, UK. There they served for one year in the Christian retreat center Stanton House in Stanton St. John. In 2008 they both packed their things and made their way to Berlin, Germany for the next step of their ministry, to take part in one of the very first DTS (Discipleship Training School) organized by YWAM (Youth with a Mission) in Berlin. On the way to Berlin, they were informed, that the DTS was canceled due to a lack of participants. But there was no turning back. One miraculous door after another opened up for them. First, a place to stay with a friend of a friend, then an amazing apartment in the same building was given to them that had a long waiting list of applicants waiting to get into it. One of the first contacts they made was a young fiery evangelist called Arnold Pust, part of On the Red Box ministry. There they would learn and practice preaching the Gospel and sharing their testimony on the big squares of Berlin. As well they were praying every day, “Holy Spirit, what do you want us to do”. God then has most of the times led them to a small local park nearby called “Boxi” (short for Boxhagener Park) where they started reaching out to alcoholics, drug addicts, homeless people and whoever would reside there. Soon after they found a location nearby they would make into a neighborhood Café/Ministry office called “Der Garten” (the garden) and started to invite people from the park and people they would visit on the streets during evangelistic outreaches to come back for a cup of tea or coffee and go deeper into conversation about Jesus and faith. They also started hosting regular times of many hours of worship, partnering with the BURN 24-7 Berlin, even taking it outdoor to “Boxi” or during the annual street festival. Since Thilo joined the ministry in 2010, a new dream formed and became more and more clearly to reach out to the lost of Europe and beyond. The team started taking short trips to several German cities to share the gospel on the streets partnering with churches and finally got to work with ministries like YWAM (JmeM).